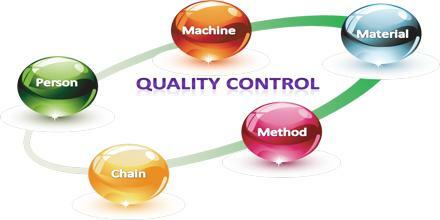 Quality Control is a procedure intended to ensure that a manufactured product or performed service adheres to a defined set of quality criteria or meets the requirements of the client or customer. It is a system for verifying and maintaining a desired level of quality in an existing product or service by careful planning, use of proper equipment, continued inspection, and corrective action as required. Quality Control also requires the business to create an environment in which both management and employees strive for perfection. This is done by training personnel, creating benchmarks for product quality, and testing products to check for statistically significant variations.